I’ve learned that good things in life either cost or are for free! Adore them when they’re for free… Respect/Expect from them when they are paid. Honestly? Lately, due to the fact I have the sun on my face, I have my black coffee and first cigarette [ I know It damages one’s health comprise mine… Avoid smoking! ] facing the sea and getting face-tonned… I sometimes am, and prefer to be, a sunset type of guy… Rio has it too… 15 minutes walk I’m in Arpoador Beach ( Next to Ipanema & Leblon ) staring at the Two Brother’s Hills… For me, the sacrest stone on earth…Yes, those hills, as well as the Arpoador, Sugar Loaf and the Corcovado ( where the Christ, the Redeemer Statue is ) are: huge blocks of gneisses! gneiss |nīs| noun a metamorphic rock with a banded or foliated structure, typically coarse-grained and consisting mainly of feldspar, quartz, and mica. So… After those two gastronomic experiences, they will be in one night in a famous Samba-Ethno-Retro-Cool-Busy club in Lapa district, downtown…. To taste democracy… And another night will be dancing with pseudo and long term celebrities in one of Brazil’s most cool lounge, in Ipanema… to taste the life of the very wealthy ones. Of course, in between spots, in a cool A/C’d temperature in the gorgeous vehicle… For it is warm in here, child! Wanna feel this taste? 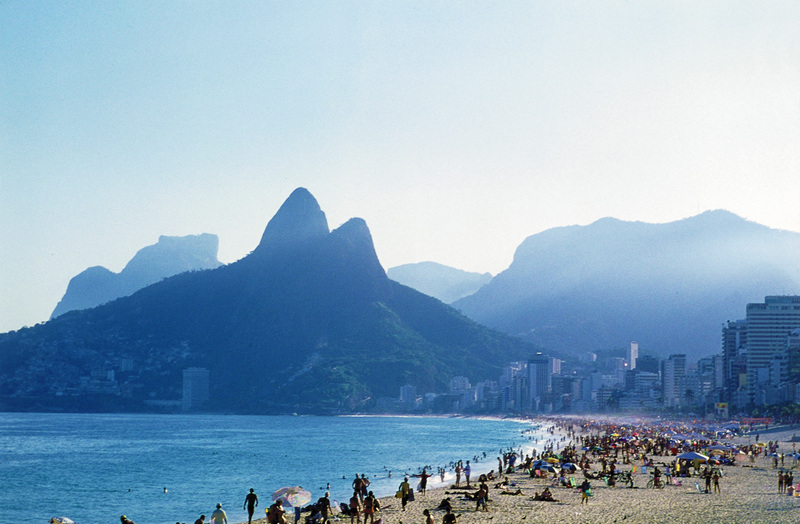 Come to Rio in a The Charmed Voyager Escape!